We can offer externally developed, internally created and bespoke training around a wide range of subjects, including Mental Health First Aid (Adult & Youth); An introduction to mental health (1.5 hours); Short workshops on specific disorders; Job search support for clients with mental ill health; Public sector integration & multi-agency working; Motivational goal setting to overcome ambivalence. We have almost a decade of consultancy experience, supporting commissioners, Prime Contractors, supply chain partners and business start-ups. Briefs have included bid writing & model development; Business development & networking; Financial modelling; Development of processes & policies; Staff training. We are vastly experienced at talking at events on a wide range of subjects, from mental health to effective co-location within the public sector. National events spoken at in the last 12 months include Mental Health & Employment (ERSA); Employment Support in IAPT Services (SBK); Housing & Employment (ERSA/GUAC); Health & Employment (ERSA). BIG DOG As a former mental health service user, Kevin knows how depression and anxiety feel. Having experienced severe depression in the mid-90s, Kevin found his recovery through the world of work, thanks to being sent on a “Training for Work” course in 1996 and, shortly afterwards, being offered a place on the training team. Since then, he has led welfare to work organisations in an innovative, effective and inspiring way. This culminated in the formation of Future Path, a hugely respected provider of high performing back-to-work programmes for those suffering from mental ill health. TO BIG DOG LITTLE DOG We are a small consultancy team helping organisations to improve the way that they support people suffering from poor mental health. With a rich background in senior management and mental health services delivery, welfare to work operational expertise and top class public speaking/training skills, we’re working to de-stigmatise mental ill health and address the employment gap. OUR STORY - WHEN TWO DOGS COLLIDE THE WORLD OF MENTAL HEALTH: OUR EXPERIENCE BDLD is a collaborative effort, uniting exceptional individuals for a common cause - to address the employment gap and workplace discrimination faced by those experiencing mental ill health. We are a core team of just two people, with a select few hand-picked associates that we can call on to add to our capacity and expertise. Each of these associates has a highly credible background in either mental health or employment support, and was chosen for their skills, knowledge, ethical values and passion. So why “Big Dog Little Dog”? Firstly, mental ill health has something of a canine pedigree, with the “black dog” often used as a metaphor for depression. In 1783, Samuel Johnson wrote: “When I rise my breakfast is solitary, the black dog waits to share it, from breakfast to dinner he continues barking, except that Dr. Brocklesby for a little keeps him at a distance”. But its strongest association is with Sir Winston Churchill, who it is now believed lived with bipolar disorder. In 1911, he wrote about a German doctor who had helped a friend’s wife with her depression: “I think this man might be useful to me – if my black dog returns. He seems quite away from me now – it is such a relief. All the colours come back into the picture”. So on one level, BDLD is so named as we look to take that big, black dog and shrink it down, get it on a leash and minimise its bark and bite. 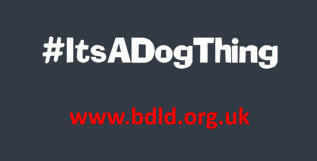 From a different angle, the BDLD metaphor represents our service offer - the “big dog” approach is a dynamic set of services aimed to grab the attention - from single presentations at conferences to the delivery of highly relevant, effective staff training such as Mental Health First Aid and Embedding Employment Support in Mental Health Recovery. These services operate best when highly visible and attention grabbing, just like a big dog. They aim to raise awareness around mental ill health, its links with unemployment, the stigma associated with mental health disorders and the widespread discrimination that exists in the workplace, and in society in general. The “little dog” service offer is built around quietly and calmly helping organisations to develop the way in which they operate, from advice on delivery models and service integration to the review, development and roll-out of quality systems and working practices. This includes areas such as embedding psycho-education in employment support, working with clinical services and ensuring that good practice is learnt from, shared and implemented. The little dog lets the big dog get all of the attention, always knowing that each is as effective as the other. Finally, the BDLD metaphor comes from the company’s two founders - men with many shared thoughts, values and passions but with a very obvious physical difference…..! LITTLE DOG Bob has 30 years’ experience of working in the mental health field in the voluntary sector. Starting in residential rehabilitation in London, Bob moved to work in Zimbabwe in the 1990s. Returning to the UK, Bob started working at Twining Enterprise, ultimately becoming the Chief Executive. Bob led Twining’s development to become an organisation that now supports over 2,000 people across 15 London boroughs. He was also responsible for leading on Twining’s successful application to become an IPS Centre of Excellence in 2016. LITTLE DOG Bob has nearly 30 years’ experience of working in the mental health field in the voluntary sector. Starting in residential rehabilitation in London, Bob moved to work in Zimbabwe in 1990s. Returning to the UK, Bob started work at Twining, ultimately becoming the Chief Executive. Bob led Twining’s development to one that now supports over 2,000 people across 15 London boroughs. He was also responsible for Twining securing “IPS Centre of Excellence” status in 2016.